As I pack for my next adventure in Italy, I decided to take some time out to address that million-dollar question that boggles the minds of so many in the minority community. It is a subject that many of my Nomad*ness Travel Tribe and United Arab Emirates friends are very familiar with. “How can you afford to travel?” This is a question that can get you a myriad of responses from “Boo, don’t count my dollars or dirhams” to “How can you NOT afford to travel” or “How can you afford to buy a family set of Jordan’s every release date?” To some that question is like asking a “sister” if that is her real hair or can I touch it. It can be such a touchy subject to many. 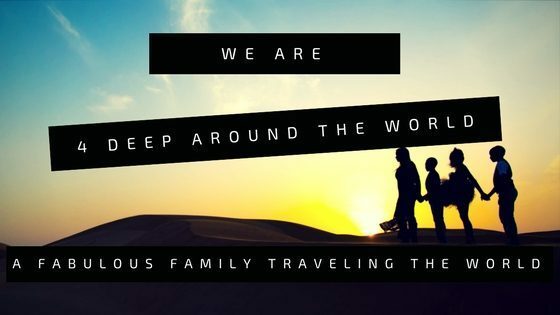 Personally, I don’t mind sharing the methods I use that have afforded me the ability to travel with and without my children to seven countries (eight if you count returning to America) in the last nine months. I’ve accomplished this feat as a single parent with only the sole income of a high school educator. Like most, my ultimate goal upon arriving in Abu Dhabi was to save money. I was determined to stack as many UAE Dirhams as possible. Before leaving the United States, I had a notebook I used to record my financial checks and balances. Every month very few items were checked and rarely did anything balance. Moving to Abu Dhabi, I was ready to try something different with a goal to eventually transition back to America with a hefty savings in tow. The first year,other than returning to America, the kids and I did not travel at all. I didn’t see travelling as an option. I was imprisoned by the thoughts and logic that as a single parent of three, I couldn’t afford to travel internationally. I would take vacations mentally as I scrolled through my social media timelines. I secretly admired all of my single or childless UAE counterparts that were traveling the world with no cares. They would take the ultimate advantage of any and every holiday we were given. They were getting their stamps (passport) up and I was more than jealous. By year two, I was tired of sitting on the sidelines as a mere benchwarmer. I was ready to get some playing time in the game of travel. Saving money was no longer my ultimate goal. It has since been replaced by filling our lives with the riches of the world. Below is my playbook on how my crew and I have shut down the travel game one stamp at a time! Now keep in mind, that just like any sport, my playbook may not completely fit or support the needs of your team. My successful strategies may be considered grand fails in your book, which is understandable, but it works for us. This is just a synopsis on how I can afford to travel internationally! When I travel with the children, I never have a set destination in mind. I always utilize the website Skyscanner as my first option. I start by putting in my city of origin as either Abu Dhabi or Dubai based on which one produces the best rates. For destination, I put EVERYWHERE, literally. Then I set my expected travel dates and number of travellers. Based on my request, Skyscanner provides me with a list of cities and flight prices starting with the least expensive. From that point, I look for a city or a country that peaks my interest and prices that fall under my $450 per person flight budget. By being open to our travel destination, there is room for flexibility. Google Flights can be used in the same manner as well. Another option when wanting to travel without a destination in mind is flight deals or “glitch fares”. A glitch fare is an airline ticket that miraculously pops up and appears to be priced significantly cheaper than it should be. To my friends in the travel game these are considered the ultimate gift; next to life itself. My Nomad*ness family is straight beasty when it comes to these deals. Imagine being able to travel to Nairobi, Kenya or Dubai from America for under $300 round trip. Well not to long ago, it was made possible. The Christmas fairies bestowed upon the travel world the ultimate gift that we like to call a glitch. Tickets normally priced at several hundred to over one thousand dollars were all reduced in error to as low as $180 for some. Sometimes flight deals or not always glitches. In the fall, the children and I will travel to the Philippines. I was able to catch a deal the airline was offering where ticket prices were significantly reduced. The Philippines was never on my radar and on that day I wasn’t even considering buying plane tickets. You quickly learn that when the travel gods bless you, you better act fast and receive that blessing. I was able to purchase 4 tickets to Manila for about $120 TOTAL. As of today, those same tickets would run me $1,800 total for the exact same dates with the same airline. Ya’ll know I did a happy dance upon purchase, right? When traveling with my children, I also have to consider the exchange rate for the country I may be considering as our destination. The children have been requesting we visit Europe. Now, I must keep in mind that the European Euro isn’t as friendly to my American Dollar as I would like. When I traveled to Europe without the children last summer, I had to be a bit frugal and budget conscious. Although I know it’s possible, traveling to Europe with my crew frightens my debit card tremendously. Unlike the European Euro, the Thai Bahts is a totally different ball game. The Thai Baht will have you feeling like you are a superstar. I will never forget the first restaurant we visited in Thailand for dinner. It was a normal routine for the children to ask what their limits were; whether they are limited to the kid’s menu only or a set price range. I opened the menu, pulled out my conversion app and sang to myself “You can have whatever you like” in my inner T.I voice. That was an opportune time to try a little bit of all the great Thai options. Give us one of this and two of that. In America, it had become a very bad habit of mine to overly indulge in gift buying for my children during birthdays and Christmases. Every birthday, without fail, despite our financial situation, we would opt for a semi extravagant birthday party. Renting out facilities or community pools, making guest gift bags and attempting to buy everything on the “I Want” gift list our children had provided for us. These same gifts would later be considered a poor financial investment in my book. They would either break, lose or become uninterested within weeks or days in the toys we had purchased . Now I take a different approach. This past Christmas the “I Want” lists weren’t needed. We traded our family holiday tradition of waking up to toys with adventures in Sri Lanka. My gift to the children was supposed to be a surprise hot air balloon ride through Sri Lanka. Unfortunately, the weather spoiled the fun. By making the trade off, the children now appreciate passport stamps vs the new “it” toy or shoes of the season. Every once in a while we all get a financial increase of some sort. Whether it is a bonus at work, income tax refund or birthday money that has been gifted. If you are serious about traveling, consider setting that aside to meet your goal. Many people set their hearts on new furniture or splurge on a new designer wardrobe for the family. For every pair of Jordan’s someone buys I now automatically equate that to a one night stay in a 5 star hotel abroad for me and the crew. To each his own! Since I am now about that travel life, I choose to invest those unexpected financial increases in our pursuit to travel the world. I see the return on investment so much more favorable. So far, I can proudly say that I have been able to avoid the ripoff some may call amusement parks, as we travel. As a kid, I would enjoy every minute of our family trips to Six Flags Over Texas. As an adult however, I cringe at the thought of taking my children to receive a similar over priced short lived experience. In exchange, I opt for museums, temples, impromptu bikes rides, zip lining, elephant feedings and making roti with the locals whilst we travel. A visit to an amusement park would break my budget wide open. It would also gift each child with personal disappointment as I honestly inform them that the $20 cotton candy is a no go. As a mother, I proudly choose culture over amusement any day. Besides, if you’ve been to one amusement park, you’ve been to them all, in my book. Anything in possible Kimberly. Start small even it is a one night stay in a city near you. Check out the free or cheap options the city can offer your family. Tanai you’re such an inspiration that has driven me to go back to college simply because I’ve discovered that having a degree broadens my range of teaching abroad options. Thanks for a sneak peek into your “secrets” to getting stamps. I’ve learned alot and even had to regain my composure after belting out a laugh or two when you used your T.I. voice. All the best to you and the babies! Thank you so much for sharing this story. I am a single mother of one and recently reached a very similar epiphany. I have gone from not traveling for four years because I couldn’t afford to, then taking a family trip once a year to this year so far taking one trip with my son and one without. All it took was strict spending and teaching my son about making smart decisions with money and not wasting it on things we didn’t necessarily need. He has figured out that he loves traveling and your story has shown me that we can do it. YES!!! I totally agree with all of these and practice them! My son and I just got home (LA) yesterday from spending two weeks visiting 5 countries. And that makes 10 countries in 10 months!! So proud to see another mother with the same views. Wishing you and yours the best on your future journeys. YES, 10 countries in 10 months. Pure Awesomeness! Kudos to you for making the world your kids’ classroom. I want to be like you when I grow up! You just don’t know how much you have inspired me from this single post. I am a planner myself and just this past Christmas my husband an did took our children to Disney World. Through research and strategic planning, we didn’t break the bank and maybe spent $400 over a 4-day period between the 4 of us. International travel is up next, and now I have somewhere to start, thanks you for sharing! Wow Tanai! Just wow! I am so amazed and very proud of you. You are definitely doing it right and in a big way. How many of our kids will get the chance to tell the stories your kids will? Keep it up, and thanks for sharing. Tanai, what an amazing experience for your you and your children. Thanks for sharing! Tanai, Your story and the gift you are providing your children is amazing!!! 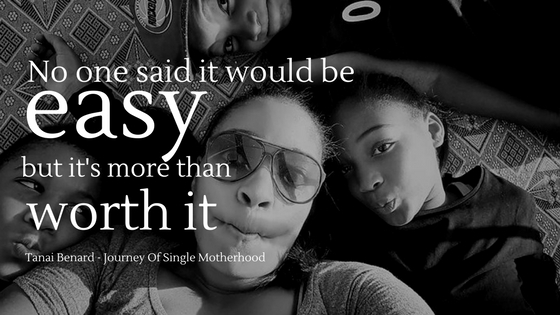 You mentioned you are a single Mom and while statistics rarely reveal the successes of single parents, I find your blog refreshing. I am not a parent, but have traveled to more than 50 countries with the goal of visiting all 7 continents (only Antarctica remains after Fall 2015). Thank you for sharing your travel secrets, I hope you do not mind if I share them with others that may not realize international travel as an option. I wish you and your children great World adventures!!! Feel free to share. I wish you all the best in your quest. That is also a big dream of mine. Tanai, Thank you for your story. My husband and I also believe in the value of traveling with our two kids and showing them the world versus buying them a bunch of material things that they don’t need. My kids have been fortunate enough to have lived in three different continents and to have visited many countries all over the world. I see the benefits of all the travel we’ve done in how smart and worldly our kids are, so it is all worth it. Keep up the great work you are doing raising your children. Happy travels! Starting my kiddos passport applications TODAY!! I am pretty resourceful, however this was a subject I would always hit dead ends on for the lack of credible knowledge. So I’ve limited our travel experiences to the United States, this wil soon change. Your Welcome.. Time to get some stamps! So far I have not encountered any safety issues. One day (in the near future) I’m gonna do this too. You are a fabulous woman, an amazing mother, and my hero! Very inspired! I’m not a parent yet (soon, God willing) but I worried about being able to travel with children — I’m glad to see that it can be done! just a little mother to mother fist pump, I’ve only got one so major admiration for rolling with 3!!!. I would so rather give my son experiences than the latest toy, that lasts about a week before he gets bored of it. I love traveling too, will try to use some of your suggestion, your family is so lovely and what memories you are all making, keep it up. Tanai–Thanks for living your life on your own terms. You are such an inspiration for ALL Americans, not just single mothers. I love how you refused to live your life like a victim. So many Americans are brainwashed by the depressing media, corporate greed and race relations/stereotypes in this country. Thanks for going outside to create and pioneer your own dream. You have a beautiful family because of the way you live your life. Keep living in the spirit!! What an amazing and inspiring woman and mother you are. So glad I am now able to follow your star! I’m thinking about moving to Dubai. Where do I start? And I love your story. I’m all about experiences not possessions. Hi, this is awesome, my son and I have been making plans to do the same. We have our locations picked out. We have done some traveling in the states on a budget. I try to make plans every summer. Unfortunately for the past two years we have been going through financial strains. From car accident now not having transportation. To living in a homeless shelter now in transition. Before I had my sons, I was in the military. Quickly I learned that travel is very important in anyone’s life and I wanted to experience this with my sons. Broden their minds that the world has no limits. My oldest has his mind set on studying abroad. I am making every effort to make this happen. Lately, the Obstacles seem to grow faster than my efforts. If there is a team of moms that “Squad Up”, as my boys would say, to make this process easier or even visual possible through providing resources, educating, and supporting each other. I’m making it my business to reach out to you for guidance. Point me in the right direction to make this happen for my sons. How do we become part of the team? This is absolutely fabulous! You’re such an inspiration. After living in Europe for a few months last year, the plan was to return there permanently this year. BUT I got pregnant. I’m so blessed to have had this happen to me at this point in my life. So now I’m just figuring out how to return to my travel life after the baby arrives:-) I’ve always had visions of myself running through an airport with baby in tow. Lol. I’m looking forward to it. I’ll be a single mom. So I’m wondering: how early should one travel with a baby? I don’t think my heart can take waiting 2 years. Lol. Any advice for traveling with a little child alone? What should I avoid as a single woman traveling with a young child? I am so impressed by this post and ready to dive in! I have a seven-year old son and am a single mom. I thought I couldn’t swing travel right now because of finances, but after reading this, I’m so inspired. I don’t know why I never thought of going wherever the tickets were cheapest or cutting back on birthday and Christmas gifts, but it makes total and complete sense. Thank you for writing about how you do it. Maybe someday my son and I will meet you and your beautiful family on the road!!! !